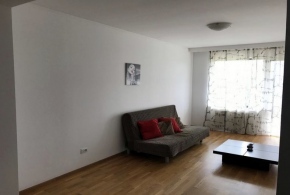 Chic apartment 2 rooms for rent, with terrace and garden exit. The apartment is fully furnished and equipped. It has a usable area of 50 sqm divided into living room, kitchen, bedroom and bathroom. The apartment is new. All furniture, home appliances and decorations are new. 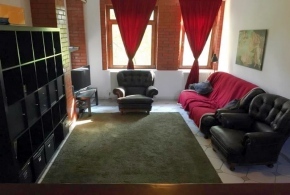 Located in the residential area Pipera Erou Iancu Nicolae, near Jolie Ville Mall, Zoological Garden, Baneasa Forest, Baneasa Mall, Bucharest-Ploiesti Highway. In front of the building there is a bus station, and there are several shops, restaurants, schools and kindergartens in the area. 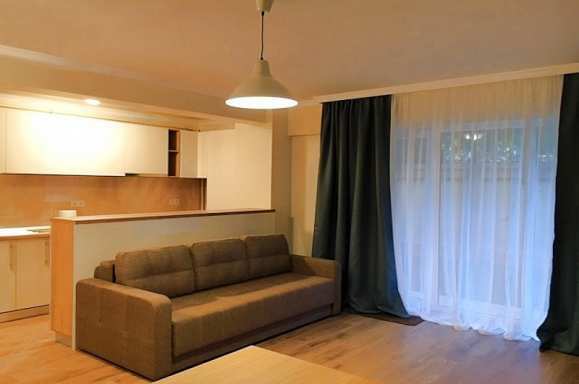 The apartment has the following utilities and benefits: central heating, gas oven, electric hotplate, hood, washing machine, air conditioner, fridge, TV, video intercom.